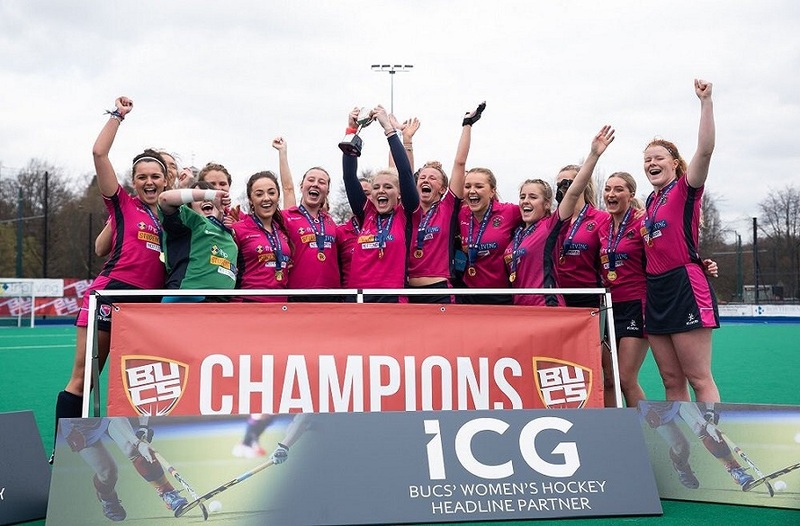 BUCS (British Universities and Colleges Sport) run nationwide knockout tournaments where teams battle it out to make it to the finals in order to lift the trophy high above their heads. Throughout the academic year our sports teams compete against universities not just from the local region but from across the UK. 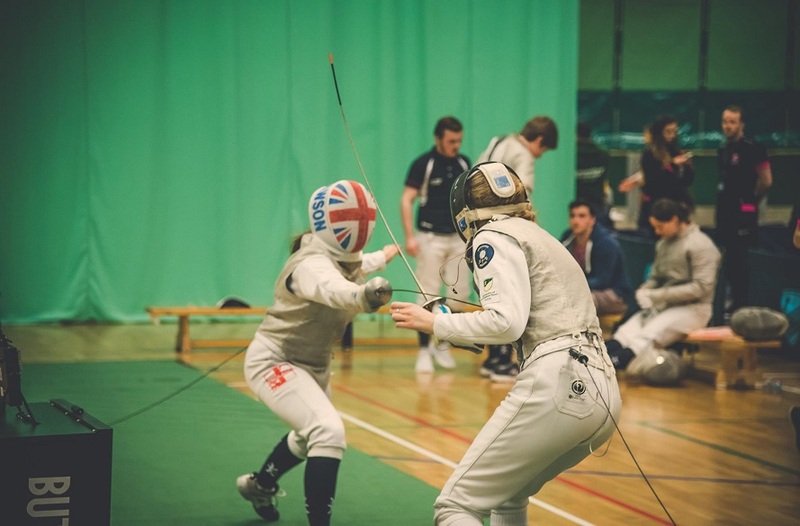 Alongside their leagues, BUCS (British Universities and Colleges Sport) run nationwide knockout tournaments where teams battle it out to make it to the finals in order to lift the trophy high above their heads. This year NTU saw 8 teams head into the finals of their respective competitions. On 18 March three teams made the journey to Leicester to compete in the final rounds of the Midlands Conference Cup. Women's Lacrosse sadly lost out to Oxford Brookes, bringing home the silver medal. It seems that silver went better with pink on that day, as Rugby League 2's also faced Oxford Brookes 1's, and it seemed Brookes had eyes only for gold as they came away winners, the score being 10-48. The final game of the day saw Women's Football 2's taking on purple giants, Loughborough 3's, and coming away with Silver, losing 4-1. A tough day for our players but a day not without pride as our players all brought home medals and the bonus of adding those all-important BUCS points to the NTU scoreboard. A week later NTU Sport were back on the road, this time to Loughborough for Trophy Tuesday and BUCS Big Wednesday. NTU's continued strength in Table Tennis was evident, as both our Men's and Female 1's and Women's 2's had reached the finals of the Championship and Trophy respectively. Tuesday 24 March saw Sport Scholar Evie Collier and playing partner Georgie Barnes comfortably grab the gold after beating London School of Economics 5-0. On the Wednesday, however, the competition was much tougher as both our Women and Men's Teams took on local rivals University of Nottingham in a pre-varsity showdown. After losing to our team of scholars in the individual championships Nottingham were showing no mercy, with revenge in their eyes and after hard fought matches both NTU team's came away with Silver. It was on the Hockey pitch where the ultimate glory would be found for NTU. 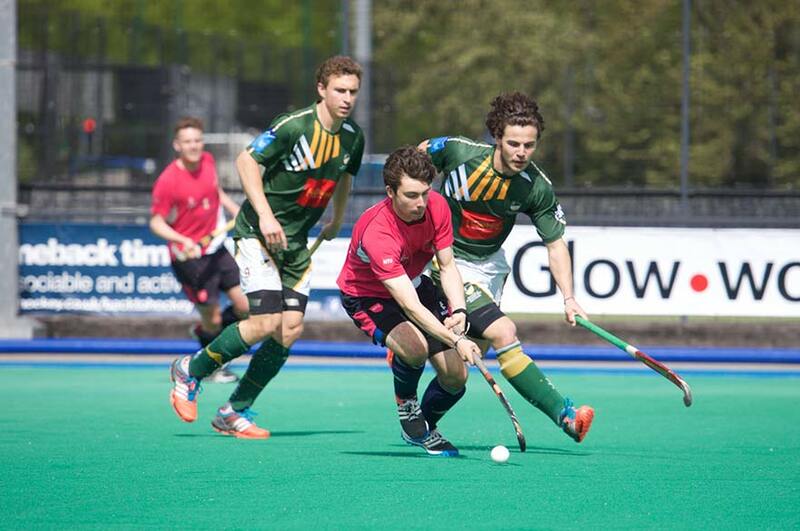 NTU Men's 1's were faced Exeter 2's in the Trophy final, our boys in pink having enjoyed a prosperous season winning Midlands 1A and scoring bucket loads of goals. An explosive start to the game saw NTU awarded a penalty within minutes of the whistle, which saw them gain in the lead they would enjoy for the rest of the match. 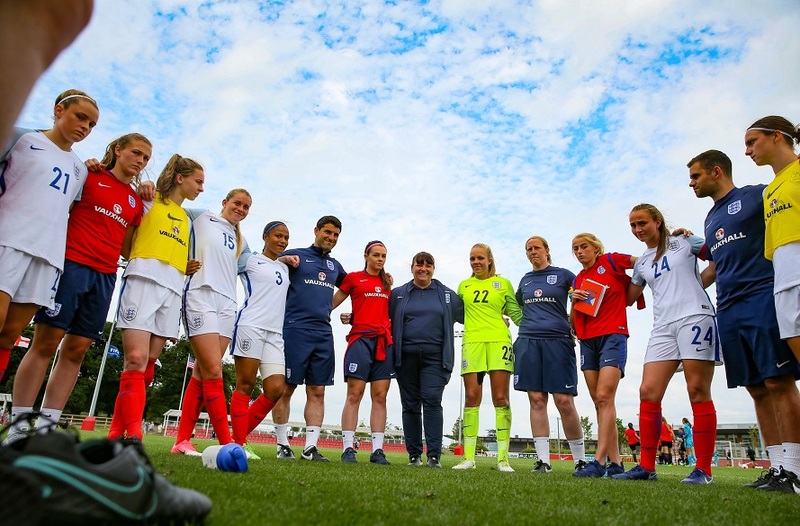 This ferocious start gave them all the confidence they needed and they went on to win the game 6-3 with a hat trick from Sport Scholar and England player Chris Proctor. But the excitement was not finished. It was a short break for the boys to compose themselves and have their photos taken before the royal procession rang out on the speakers. The medal ceremony was to be conducted by BUCS Patron Her Royal Highness Princess Anne, daughter of the Queen. The team watched as runners up were presented with their medals before moving forward to each individually greet the Princess and receive their gold medals. Captain Joe Paul was the last to move forward where he was presented with the silverware they had been waiting for, the BUCS Trophy 2015. "To win this year, after last year's failings in the final has made the successes even sweeter and to have Princess Anne presenting the winner's trophy made the occasion just that little more special"
An outstanding season from Hockey brings to light what can be achieved from the hard work and dedication from all our athletes. Spectators and supporters can now look ahead to the Nottingham Varsity Series where our teams in pink step up to face local green and gold rivals University of Nottingham in the battle for the city.